We are looking for an expert in communications and marketing to help us to critically assess our current communications activities and to build capacity within our team to ensure we have the right skills on our team and marketing strategy to grow our organisation. We have an excellent, highly skilled young Khmer colleague working on all our communications right now, and we would love someone to help build her capacity and advance her understanding of communications, strategy and branding/marketing. Why? We are a small social enterprise growing bigger by the day, one of the first incubators working in Cambodia with socially-driven ventures. We have been paving the way for impact ventures and communications have been a key part of sharing what we're doing and why. We're confident it's been the reason why we've managed to secure incredible partners and funders and encourage more young people to consider a career in social entrepreneurship. But how can we make sure, as a small team, that we do the work that really creates maximum returns? We have so many projects and not a lot of time and resources. How can we use them efficiently and still create maximum impact with our communications? We need expert advice! We're looking for someone who can help as soon as possible, no time like the present! We'd love someone who can come and see what we do to understand first hand the work we are trying to communicate. That said, since most of our communications are online, we can also consider a virtual expert to help us. We are looking for someone with at least 5 years experience working in communications, ideally for a fast growing business or startup, someone who is already working as a communications consultant and who helps people to refine and improve their marketing strategies/comms. Presentation/report on our communication, what's working, what's not worth continuing, and key recommendations going forward for us. What are the key areas we need to improve if we want to take our work to the next level? How can we standardize processes and adopt best practices? Create, with Communications Manager, a high level branding and marketing strategy that aligns with Impact Hub's strategic direction. Other than the obvious skills needed in communications (storytelling, eye for detail, social media expertise etc) , we hope the person is fun, outgoing, can work as part of a team or independently, very autonomous, ideally someone senior with some years of experience. Experience in (and passion for) entrepreneurship, social impact, innovation, startup sector would be ideal! Experience working in an awesome coworking space with impact makers! 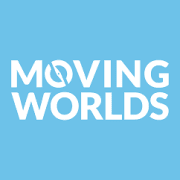 How to apply: Please email your resume and a brief introduction to match@movingworlds.org with the subject line "Volunteer Match Project 1594"